For 18 years running, Southeastern Conference Alumni in NYC have kicked off the season together, and the tradition continues. Join SEC friends in New York City on Wednesday, September 2 from 5:30-9 p.m. at Ainsworth Park on 18th street between Park and Irving. 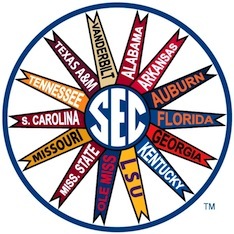 Enjoy beer and bourbon specials, half off wine by the glass, and the SEC Network on TVs around the bar.